From the bestselling author of STARTER FOR TEN, ONE DAY and US, THE UNDERSTUDY is a scintillating comedy of ambition, celebrity, jealousy and love. For Josh Harper, being in show-business means everything he ever wanted - money, fame, a beautiful wife, and a lead role on the London stage. For Stephen C. McQueen, it means a disastrous career playing passers-by and dead people. Stephen is stuck with an unfortunate name, a hopeless agent, a daughter he barely knows, and a job as understudy to Josh Harper, the 12th Sexiest Man in the World. And when Stephen falls in love with Josh's clever, funny wife Nora, things get even more difficult. But might there yet be a way for Stephen to get his Big Break? 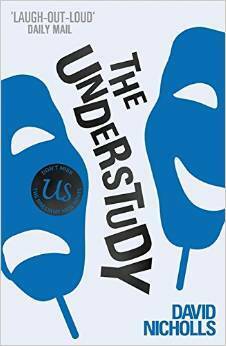 THE UNDERSTUDY is a scintillating comedy of ambition, celebrity, jealousy and love.